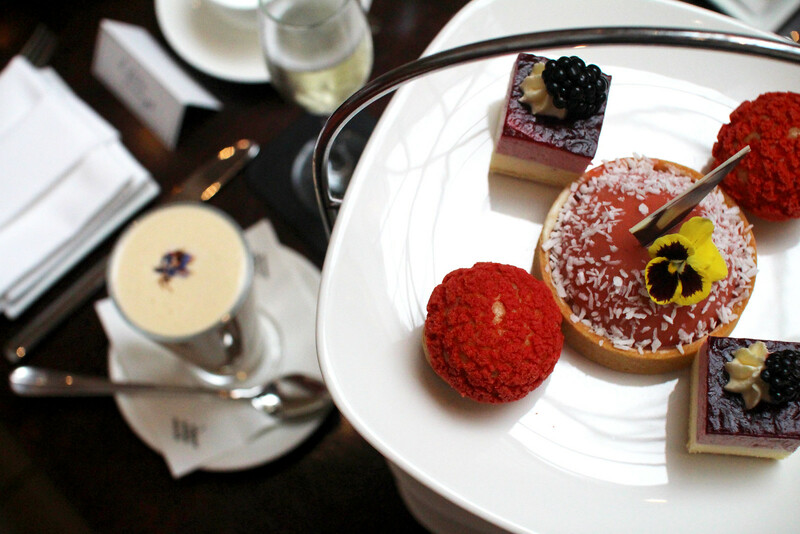 There’s something so quintessentially British about afternoon tea. With dreams of summer days enjoying strawberries, delicate cakes, sandwiches and cream scones, what’s not to love? It’s exactly that essence that the Waldorf Astoria in Edinburgh have captured for their latest summer berry afternoon tea. 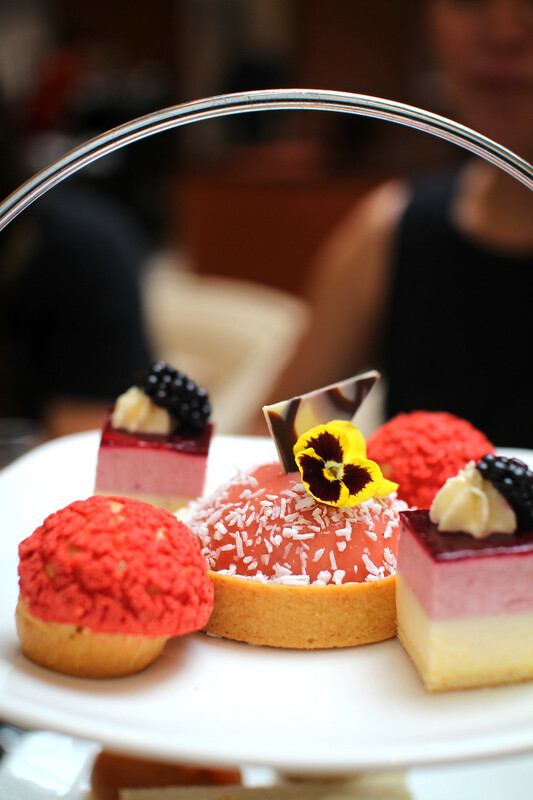 Bringing a taste of summer to the city, they’re offering a seasonal twist on the classic afternoon tea offering. A limited edition experience, changing seasonally - each with a creative new spin. 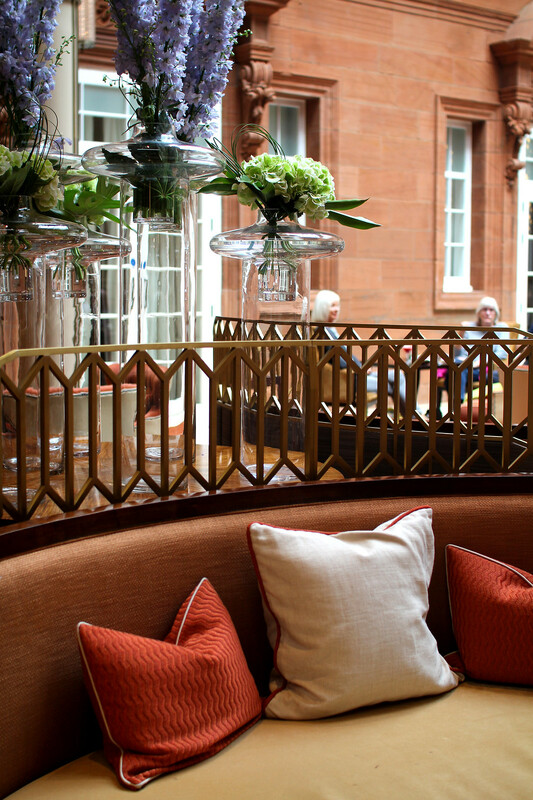 Situated at the base of Princes Street by Edinburgh’s beautiful West End, you’ll find the Caledonian Waldorf Astoria hotel. Renowned for it’s culinary delights in the Pompadour by Galvin restaurant, the Peacock Alley offers luxury afternoon tea for it’s diners. 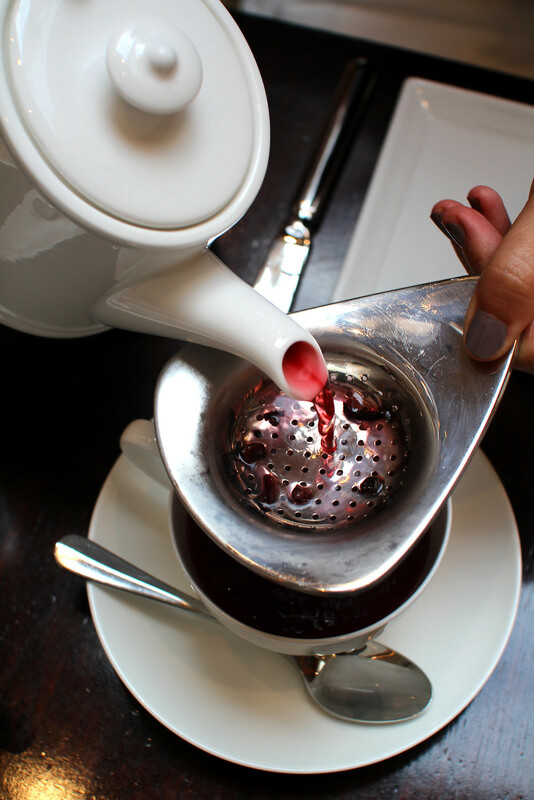 The afternoon tea changes seasonally, always offering something fresh and exciting. With prices starting at £35 per person, £45 with champagne, it’s a luxury delight that’s worth every penny. Once seated, we were presented with the menu for loose teas. 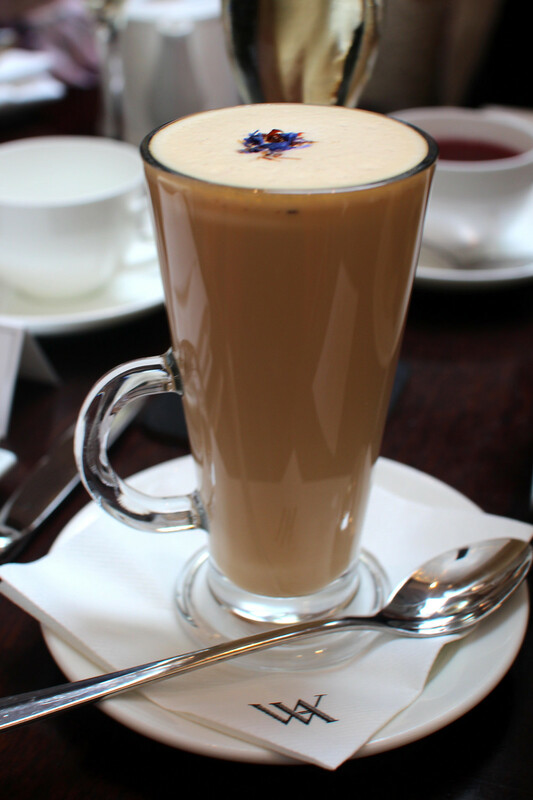 For something a little different, I chose a chai and vanilla latte. With over thirty tea’s to choose from, I was going to need some time deciding! 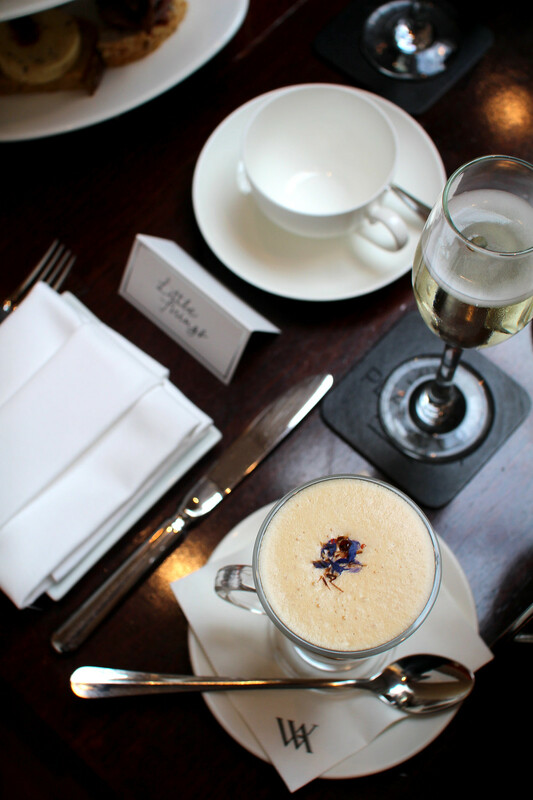 We enjoyed a champagne afternoon tea for an added element of luxury, which is definitely the perfect treat for a catch up or celebration with loved ones. Moving onto our first tier of delights, we worked our way through finger sandwiches. A mix of tandoor chicken and mango wraps, black pepper cheddar and apple chutney on fruit and nut bread, rare roast beef and rangy red onion mayonnaise, and a lovely bitter chocolate, blue cheese and pear tart. We were already getting pretty full and we were yet to move onto the desserts! I must admit, I’m a dessert girl through and through. If I could eat cake for breakfast every day, I definitely would. So when we saw the beautifully intricate desserts laid in front of us, they were almost too lovely to eat. 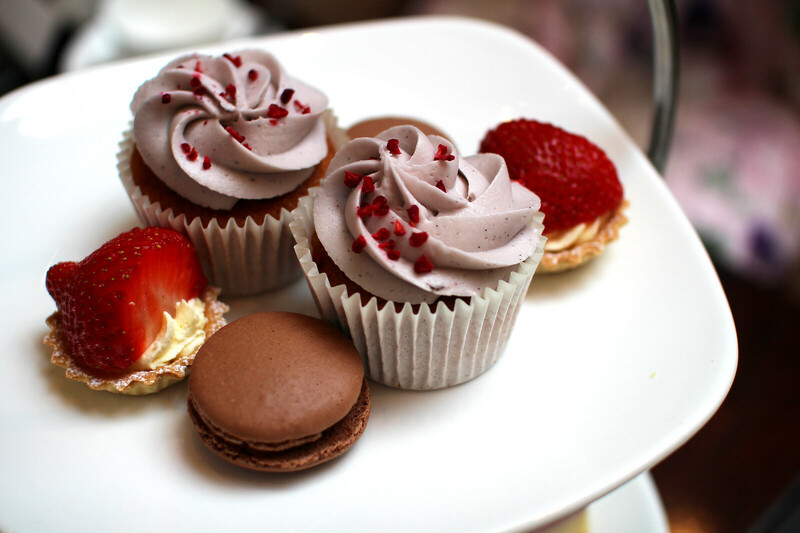 Everything from redcurrant choux buns, raspberry and blueberry cupcakes, chocolate scones and strawberry tarts. Crowned on the top tier by a beautiful white chocolate and strawberry dome, handcrafted by the chef in Peacock Alley. 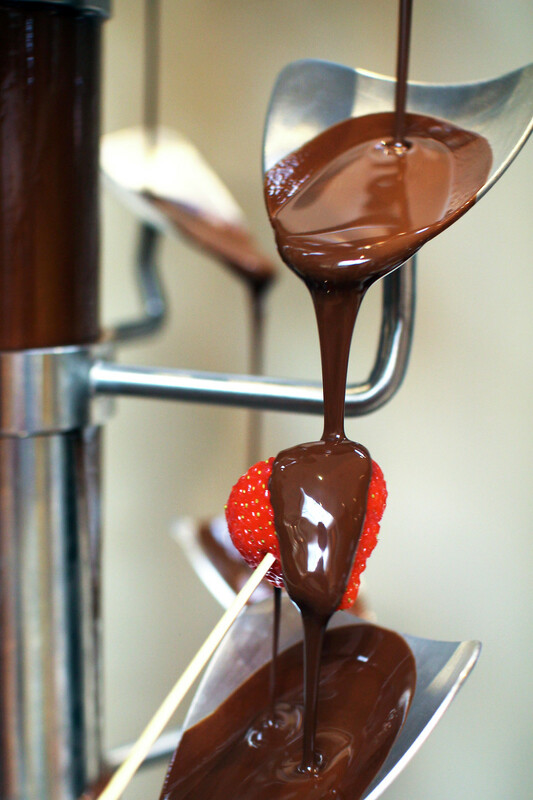 As if that wasn’t enough already, you can also opt to enhance the experience with the addition of a chocolate fountain and various fruits. 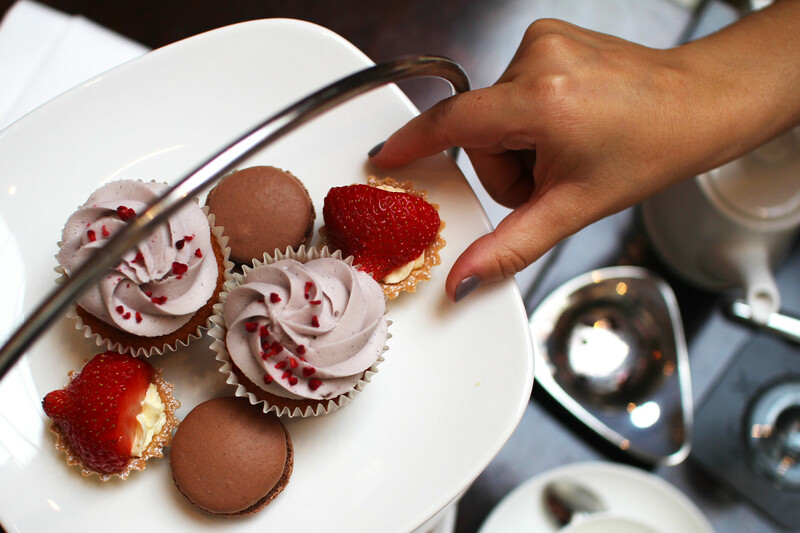 The summer berries and chocolate afternoon tea is available until 31st August. 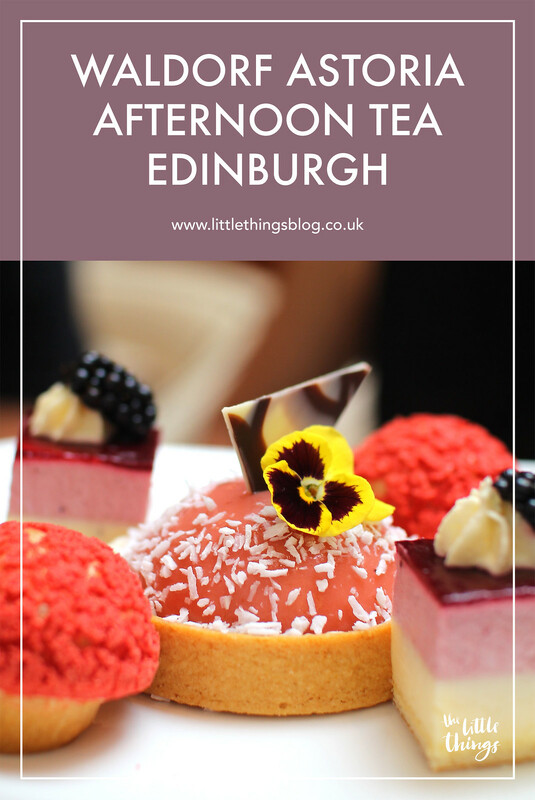 Be sure to swing by and enjoy an afternoon tea like no other if you’re visiting Edinburgh! I received a complimentary afternoon tea at the Waldorf Astoria, but all opinions are my own.